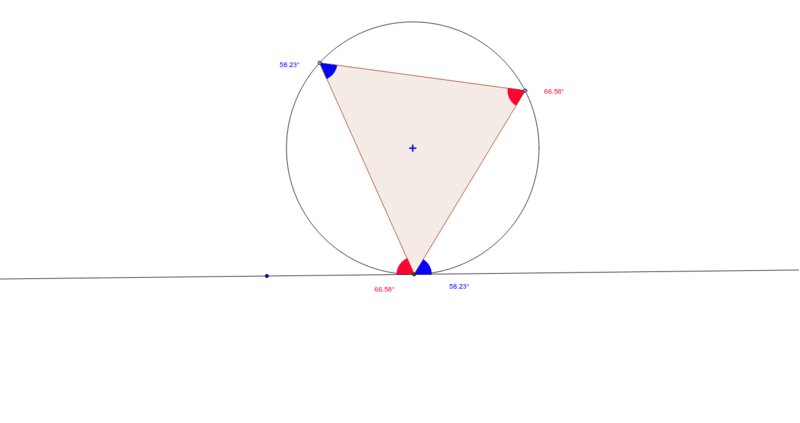 1) Drag triangle vertices around the circle and observe how the angle measures change. 2) Manipulate the tangent line and observe how the angle measures change. 3) Document the relationships you observe on your Problem Solving Mat. 4) Create a generalization on your PSM using complete sentences!